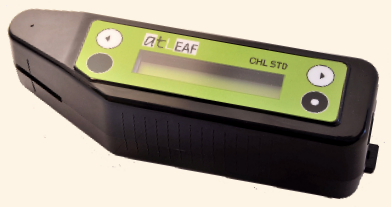 atLEAF CHL STD is a powerful, handheld, easy to use device for noninvasively measuring the relative chlorophyll content of green leaf plants. Chlorophyll content can be an indicator of the plant’s condition. Note: there is an inaccurate description in the CHL STD user manual Ver. 1.0 on page 10. 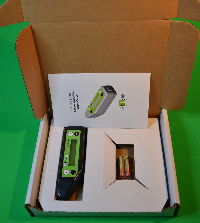 By pressing and holding down the Enter key, the device will continue to do successive measurements while automatically calculating the mean value. When releasing the Enter key the calculated mean value is displayed and stored.